Despite my high hopes for what would have been a great addition to the D&D universe, due to time constraints in this semester (and also life being lifey) I have decided to go forward with one of the more simpler (and ironic) games that I came up with – the Brainstorming Game. Something similar to this already exists for entrepreneurs taking classes (and is something we engaged with previously in BCM112 for our digital artifact ideas) however, I wanted to make something more focused on having fun with a group of people, engaging the silliness of our creative minds. 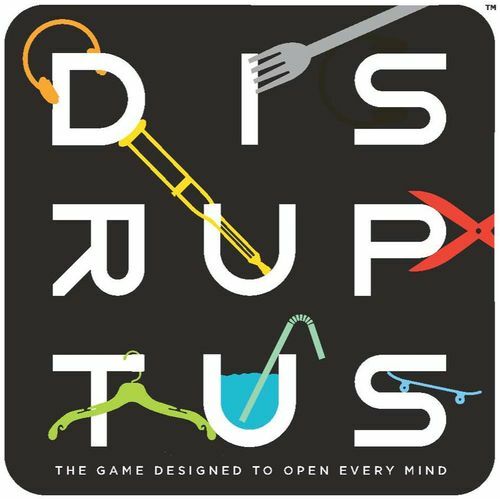 Disruptus has a similar premise however the game is much more complicated than my proposed idea. My idea for my “Start-Up!” Card game is to have a series of flash cards with word suggestions on it. 3 cards are drawn from a shuffled pile by a judge. Each other player then takes 30 seconds to list as many ideas for a product or business as possible. Points are scored 2 ways. 5 points are granted to a player chosen by the judge for having the best idea (which is subjectively chosen). Then the players are to nominate their favoured player to grant “points for creativity”. Each player (bar the judge) would go around the group and gift 1 point to their player of choice which they believe has the most creative idea. The game ends when the player-base-decided points cap is reached. It can be raised or lowered to determine game time. As far as the game materials for this project goes, it would be a simple card-based game with the potential for expansions. We can start off with a set of about 50 cards for play-testing and then further expand this to approximately 150-200 cards of just words. It would also be nice to include up to 8 notebooks initially with 250 pages on each, with places for keeping score. This would ensure that the game can be played immediately upon purchase. If in future someone would like to purchase the official notebooks, they can be made available through a merchandise store online. Otherwise, regular notebooks will do just fine.